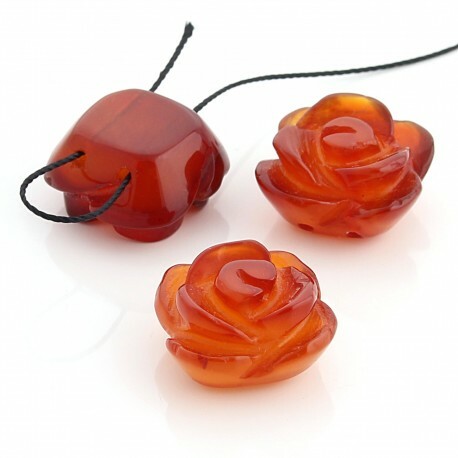 This beautiful rose-shaped bead has been carved in carnelian, so it has an orange color and a beautiful shine. The piece has two transverse holes to thread it. It measures 1.9 cm x 1 cm and weighs 5 grams.